Hi I’m David Graham and I am responsible for international programme and projects delivery at DIO. 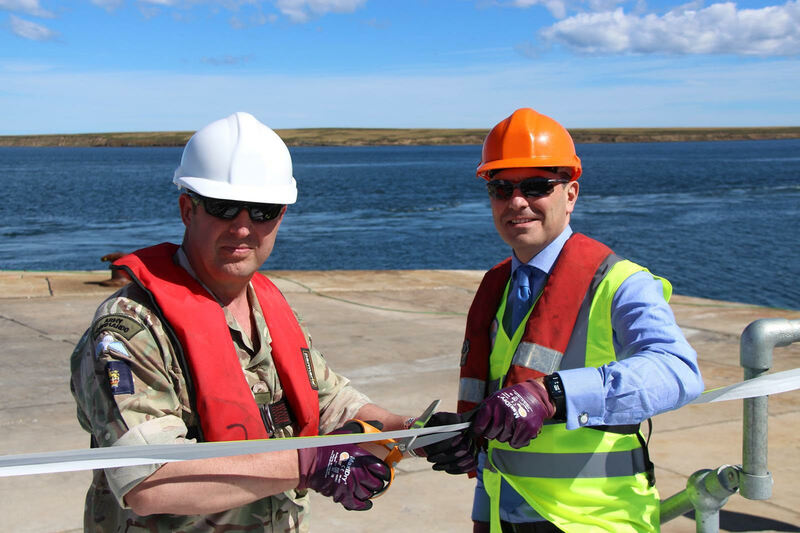 One of my main duties includes planning and supporting projects overseas such as in the Falkland Islands. All construction projects present challenges especially when they are located on the other side of the globe. 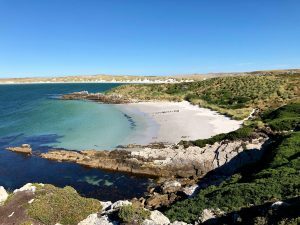 DIO is incredibly proud of our work with VolkerStevin on the new roll on roll off jetty at Mare Harbour in the Falkland Islands. For those who may not know there are currently around 1,200 UK military and civilian personnel and their families based in the Falklands supporting defensive air, naval and land assets, including RAF Typhoon aircraft, helicopters, Royal Navy patrol vessels and an Army infantry company. As you might imagine this is quite a remote location so ships, referred to as Falkland Islands Resupply Ships (FIRS), need to deliver supplies including hardware, food, building supplies and other commercial freight to the Islands. 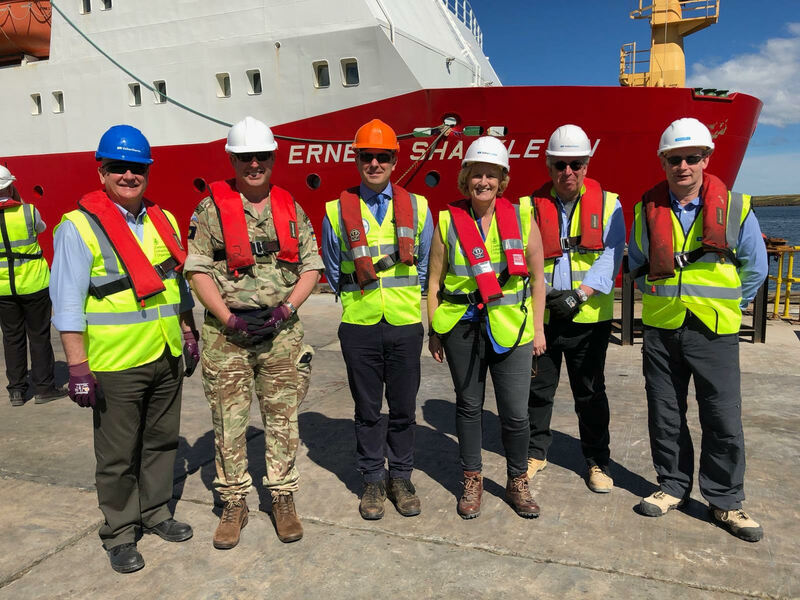 The deliveries made by these ships are vital to military capability, maintaining life on the Islands and to ensuring the complex schedule of building and development works continue as planned. As the location is so remote and the ships are quite large a specific type of jetty is required. The jetty in place previously was not large enough or robust enough to accommodate the larger Point Class vessels that now travel to the Islands so plans were developed to upgrade the jetty. For example, the original jetty was designed for vessels which were about 140 metres long and weighed 8,500 tonnes. The new Point Class vessels, however, measure 193 metres long and weigh 23,000 tonnes. This is quite a big difference so the jetty was extended with brand new fenders and mooring piles so that the new, larger ships can dock safely. In addition to upgrading the jetty, VolkerStevin has also replaced walkways along the berth, lighting improvements, capstans and a PA system. Firefighting capabilities have been upgraded as well. The new jetty is now in use and will enable the Point Class vessels delivering essential military supplies such as hardware, food, building materials and commercial freight to roll on and roll off of the FIRS. This £19m contract with VolkerStevin is part of a £180m overall investment by DIO to improve facilities on the Islands over the next 10 years. Additional works include improvements to the power station at Mount Pleasant Camp as well as new services accommodation at the three Radar Heads on the Islands. This comprehensive schedule of plans by DIO will improve military capability in the Falkland Islands and improve life for personnel and their families for many years to come. Any work for ex forces,CCNSG,CSCS,JIB,PASMA,card holder,Thanks.